The Marist fashion department is giving student retail a new meaning with three classes combining product development, buying and marketing together to run the on-campus hub for the latest trends, MPORIUM. The amount of behind the scenes work done by students shines through the store, which is constantly bustling. Being a part of the work is competitive, too. Finn’s class is now one that you must apply and interview for as there are levels of leadership from entry level to advanced. Next semester, the class will have two student directors who will use the course as their senior capstone project. One will be the director of store planning, overseeing the buying and marketing teams, and the other the director of store management who will oversee the human resources, visual, and staffing teams. “Buyers are solely responsible for finances and profitability for their assigned area of business” says Finn. They communicate business strategies with the visual teams, who make sure the product presentation on the selling floor is exceptional, and speaks to target markets. The buyers also work with the marketing teams, who help create messages that will speak to the student audience and create brand awareness. This internal work is strictly student driven. “My role is to continually evolve this course, acting more as a senior level VP to these students” says Finn. Finn works side by side with professor Kathy Boyle from the Communications department, who teaches COM416 which is the creative marketing side of MPORIUM, executing many of the marketing strategies seen on campus, from posters to weekly posts on Instagram. “Kathy and I may share the visions we would like to see implemented, and ultimately have the final approval, but many of these campaigns are the result of our extremely talented Marist students!” says Finn. The MPORIUM students range beyond just the students taking COM416, FASH315 and the Marist Brand product development class FASH300, taught by Professor Jodi Hartmann. 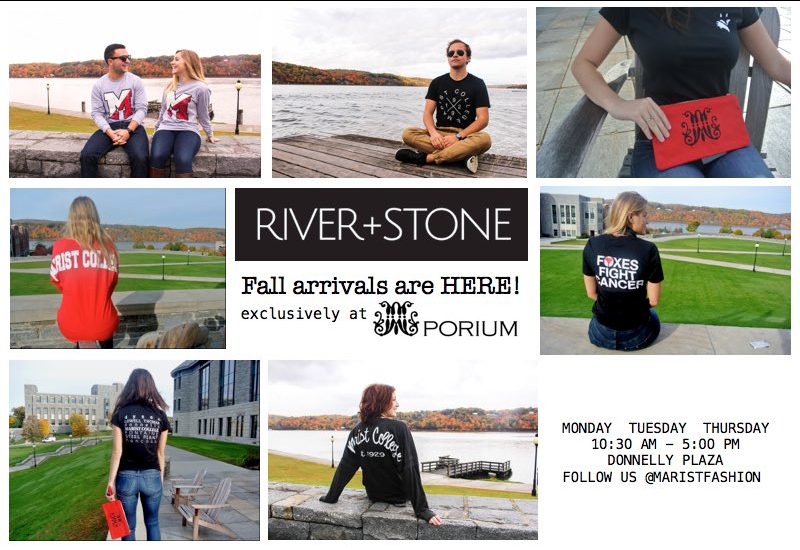 The Marist Brand, River+Stone connected with the Student Ambassador Program to select brand ambassadors to promote awareness for the clothing, which can be found exclusively at MPORIUM. 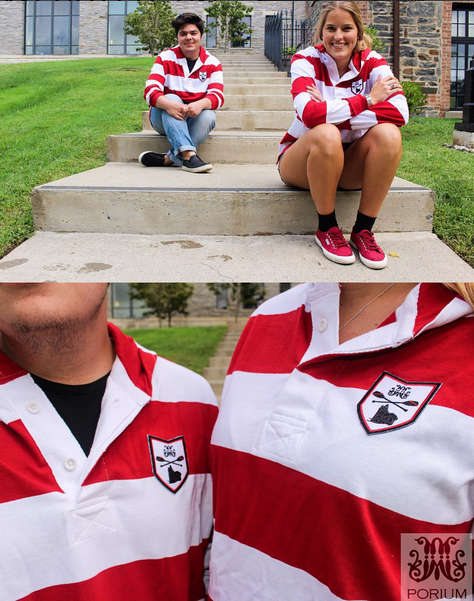 Brand ambassadors are required to post pictures wearing the clothes, including #MaristBrandRep. They must also spend one hour at MPORIUM talking to customers. “Being a part of something in the fashion department is special because as a business student, I never thought I would have opportunity to do work like this here at Marist” says current brand ambassador Erik Nilson. You can shop at MPORIUM, in Donnelly Hall on Monday, Tuesday and Thursday from 10:30am to 5pm. This entry was posted in #Marist, Lifestyle, On Campus and tagged #Marist, Fashion, mporium. Bookmark the permalink.